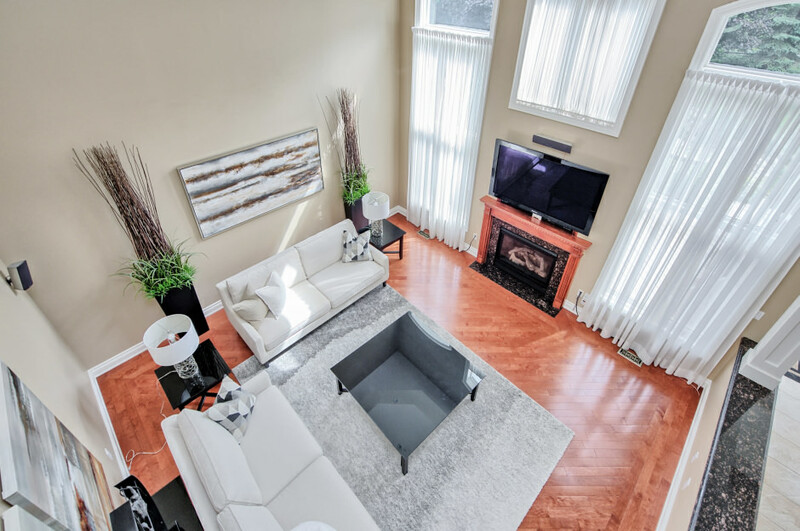 Upstairs features four large bedrooms off a beautiful foyer with Juliette balcony overlooking the family room below. The master bedroom situated at the back of the home has beautiful bay windows and a private balcony – this will be your perfect spa-like retreat. The second bedroom has an ensuite and walk-in closet while the third and fourth bedrooms share an ensuite. The basement of this home is perfect for entertaining with an oversized recreation room and built-in bar. This space also has a home gym and a hidden room currently being used as a music room – but could be perfect for a home theatre or kids play room. The exterior of this home is very special. Fully hardscaped and landscaped both front and back provides low maintenance living while still looking full and lush. A unique front courtyard features a wood burning fireplace. 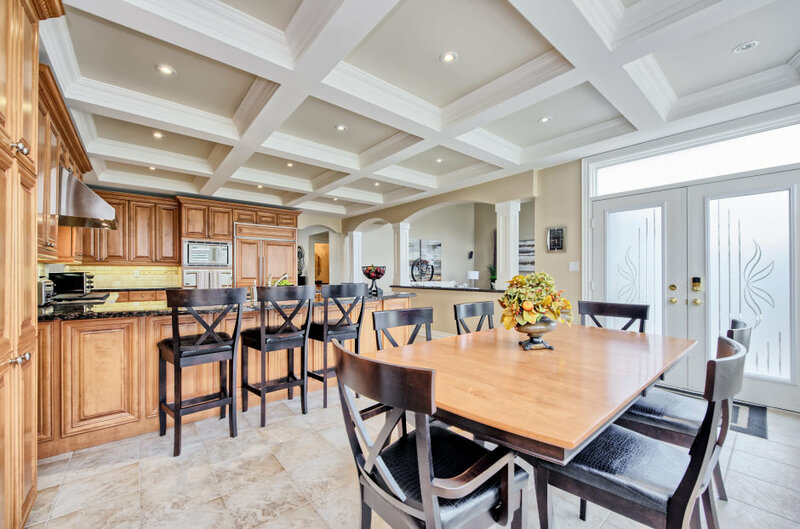 With security being a top priority this home features full front and rear cameras to keep your family secure. An ideal location close to the Hospital, trails, schools shopping and easy access to the 407! This home must be seen to appreciate the quality.